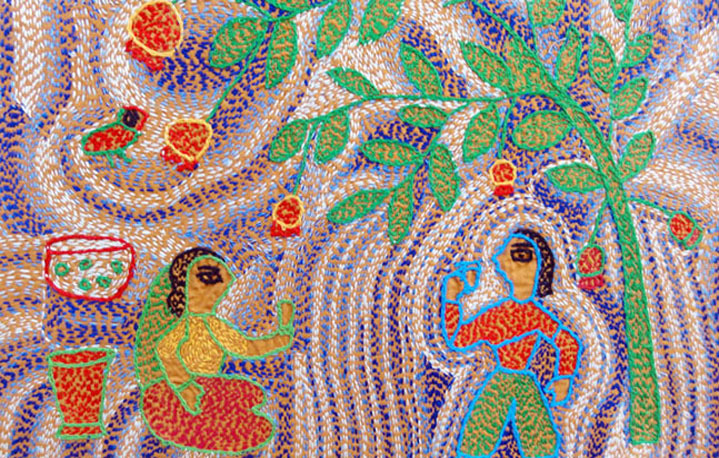 The sujani work of eastern Rajasthan is of a very fine quality and is inspired by the original suzani art of Biihar and Kanth of Bengal. 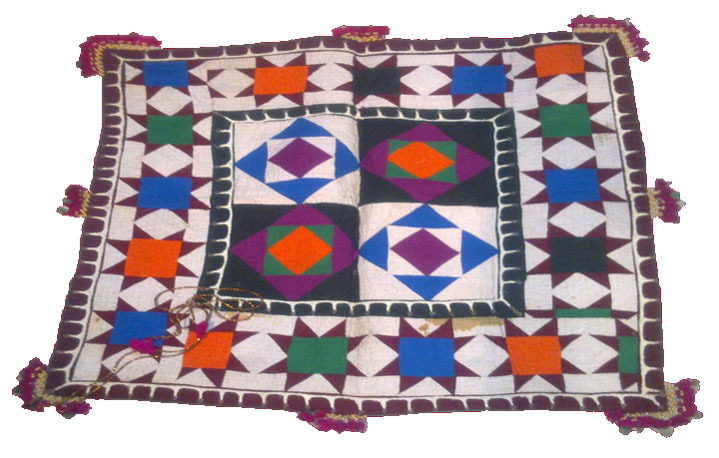 An old cloth is folded three or four times and stitched together and new cloth is then attached over it for doing chain and running stitch embroidery of creepers and flowers, and sometimes of sakhi or peacock design. 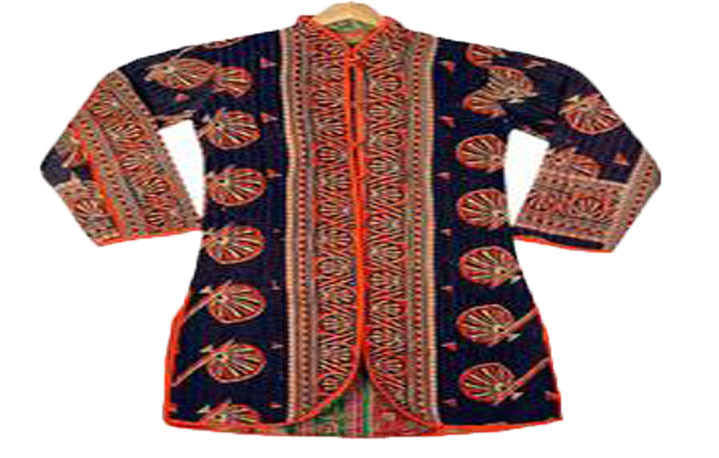 The sujani style of embroidery is used for winter wear, also especially for making sadaris (jackets). 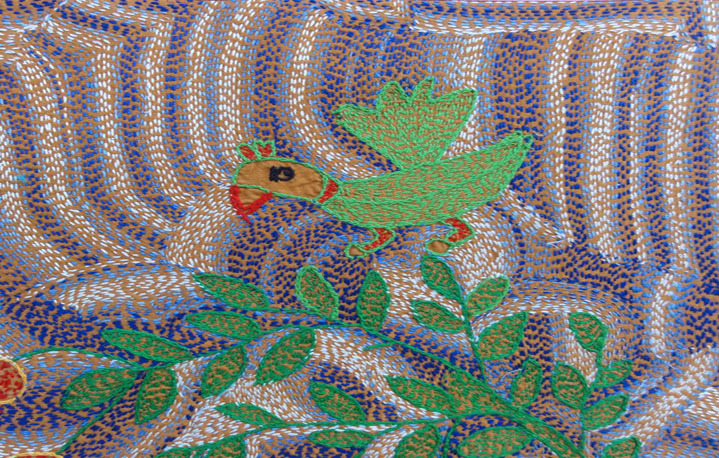 Embroidery is also done in south Rajasthan where chain-stitch on leather has gained a name for itself. In earlier times, this work was done on scabbards, shield-cushions, and on covers for gun-powder bags. 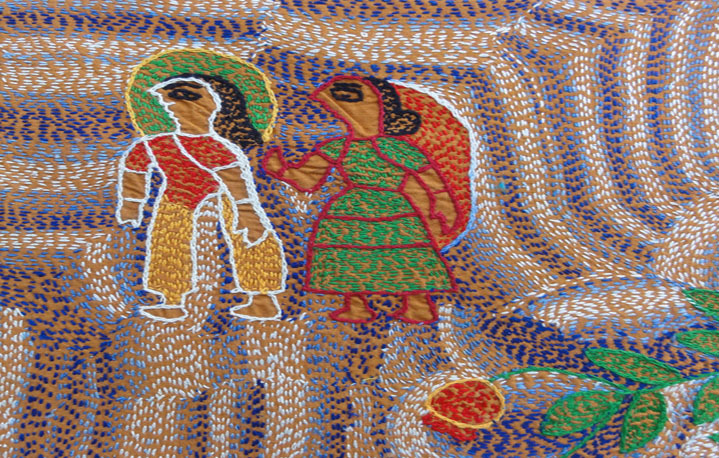 “Sujani Embroigery is also known as Kantha in Bengal, Gudari in Rajasthan."